53% of Jews and 83% of Muslims responded they were satisfied with their religious leadership. 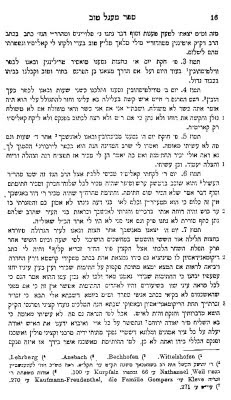 Great Inyana d'Yoma Post on Chol HaMoed from RSK! True, some of this is pretty gross, but how anyone can see this kind of stuff and attribute it to evolution boggles the mind! 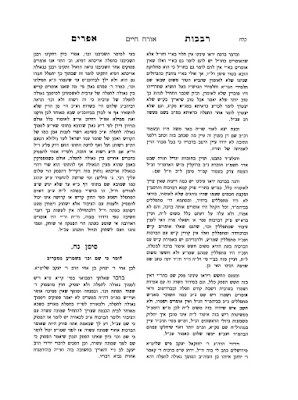 Completely separate from the issue of whether the mother in the episode that is ongoing in Yerushalayim is obsessed by MSbP or not, is the question of the message that Hashem is trying to send us by having had this episode unfold specifically in Bein HaMetzarim. The answer is rooted in the Cheit HaMeraglim, the “original sin” of Tisha b'Av in which all the day's later tragedies are rooted. What was the cause of that sin? As I heard many years ago from Mori v'Rabi Rabbi Shimon Zelaznik zt”l, the Zohar HaKadosh explains that, great individuals that the Nesi'im who were sent to be the Meraglim were, they were concerned that upon entering Eretz Yisroel all Jews would be holy and lofty, and their nesi'us would no longer be necessary. This negi'a led them to mistakenly conclude that it would be better – not only subjectively but even objectively – for Am Yisroel to remain outside of the Land of Israel, so as to benefit from the leadership of the Nesi'im. Thus, the Meraglim deliberately attempted to inflict the terrible injury of the loss of Eretz Yisroel upon Am Yisroel – in order for them to retain the attentiveness of the people to their leadership and direction. In short, the Meraglim were guilty of the sin of MSbP. Rather than seek to retain their status by elevating themselves, they sought to retain their superior status by degrading others. This is the yesod ha'yesodos of Sinas Chinam. What is the difference between your everyday, plain old Sinah and Sinas Chinam? There are people that I am entitled to hate – say, a Haman or a Hitler. But Sinas Chinam means that I hate someone who I really have no reason to hate, and who is not deserving of hate (see the Siddur Otzar HaTefillos on Al cheit she'chatanu lefanecha b'Sinas Chinam). The problem is, that this may make him my equal, and my ga'avah and kavod will not allow me to see anyone else as my equal (as my better, perhaps yes – that's a different story, but not as my equal!). So I seek to retain my superior status by degrading him. Sinas Chinam=MSbP. Societies can self-define in two different ways: By who they are, or by who they are not. They can say: “We are different because we have a certain superior aspect;” or they can say: “We are different because they have a certain negative aspect.” At first glance, these might seem like two sides of the same coin, but they are not: When we define ourselves by what we are not, we accentuate their flaws. This approach has two pretty negative corollaries: Complacency (i.e., just by me being me I'm the greatest, so there is really no need for me to change anything, is there?) and dehumanization (i.e., those guys are such lowlifes that we obviously don't need to treat them with mentchlichkeit!). In short, societies that self-define in the latter manner are engaging in MSbP wholesale. When frum Jews call non-frum or less-frum Jews “Erev Rav,” or “Nazis,” or “Amalek,” they are engaging in MSbP. They are defining themselves and rationalizing anything they might be doing by dehumanizing others. In fact, even if I just say: “Well they do the same thing, they're no better than us,” or charge them with maintaining a double standard (both of which may be perfectly true), I'm still guilty of MSbP: I'm not engaging in introspection to see if I'm worthy, or in and self-growth to become worthy, of attention and respect – I'm great, you've/he's got problems/issues; are anti-frum/anti-Charedi/anti-Modern Orthodox; are a self-hating Jew; are antisemitic; are a mosser. First, the protests in Yerushalayim. Again, I am not getting into whether the protests are justified or not. But how could they have come to overturning garbage bins and setting them on fire, and to the wanton destruction of public property, etc.? Would these same people under the same circumstances have protested so violently in another country? I think we all know that the answer is, no. So why in Eretz Yisroel? MSbP. Because that segment of Orthodox Judaism has long defined itself by what it is not (“Tziyoinim,” “Mizrachistin,” etc.) and in the course of that self-definition they have succeeded in delegitimatizing and dehumanizing the State, its society, its institutions and its representatives to the point that they are unworthy of mentchlichkeit. Second, the alleged criminal activity of the arrested Rabbonim and other Orthodox Jews. Again, I am not getting into whether they are guilty or not. Let us hope,even assume, that they are not. But in orchestrating the arrests in and of themselves, Hashem clearly intended to send yet another MSbP message. We bandy about catchphrases (usually irrelevant and misapplied!) such as Eisav sonei l'Yaakov or Atem keruyim Adam. Sometimes it's for a “worthy” cause – to caution us in regard to our public behavior, or to castigate the others' immoral behavior, etc. But this too is ultimately a manifestation of MSbP. We thus delegitimatize and dehumanize our non-Jewish neighbors (or kidney donors), which leads too often to dishonesty, fraud, racism, etc. So Hashem says to us: “Hello?! Is this what you think I meant when I told you to be a Mamleches Kohanim v'Goy Kadosh?! Do you really think this is being Ohr LaGoyim? !” So let's even stipulate that the crimes are all trumped-up charges (halevai!) – but do we seriously deny the middos problems that could lead to such crimes? Third, the curious phenomenon of the focus on the heinous act of the moser. We have seen this focus exaggerated to such an extent that the message one might be excused for getting is that the real problem is the mesirah! It is reminiscent of the Gemara that states (not l'maskanah! ): “It is not the mouse that steals, but the mousehole.” Again, let us stipulate that the moser is a rat fink of the lowest kind. But in essence, focusing on him is like saying that even if the crimes were (chas v'shalom!) committed, the real problem is that they were exposed. Is there any greater manifestation of MSbP?! Moreover, somewhat on a tangent, do we really think mesirah is such a problem amongst us that the Hashgachah made this happen to highlight that problem? And, by the way, I would like to propose a daherr: The Gemara says the Beis HaMikdash was destroyed because of Kamtza and Bar Kamtza. In calling the missing guest “Kamtza” and the moser “Bar Kamtza,” it is evident that it was the matter of Kamtza that was the primary and major cause – the “Bar” (son of) Kamtza matter was but the secondary and minor cause. All of us are guilty of MSbP in some way or another. It's impeding the Geulah. Hashem has brought it out in the most blatant ways possible. What can we do about it? Wow! From a Yated Columnist! New York - Agudas Yisroel sponsored an event last night in Borough Park entitled, “VeAsisah HaYashar VeHaTov.” The conclusions of course were that the bottom line is that Chassidim and all Hareidi Jews should conduct their financial activities lawfully. Whether one is in business for himself, or works for someone else, or whether one is in the lofty field of AVodas HaKodesh, there is no excuse to cheat. There is an expression known as “an elephant in the room” and clearly, even though the hall was packed there was a rather large elephant in that room. The expression means that there is an important and very obvious topic, which everyone present is thoroughly aware of, yet for some reason it is never discussed. It is too uncomfortable to discuss, and it will not be discussed. So what is this elephant? You can see it in virtually every comment that is posted on VIN News. You can see it on the labels of packaged kosher Heimish produced food. You can see it in the demographics of bank managers in Borough Park. One Shabbos after I bought my first house I bought a number of packaged Heimish cakes to bring home. They were fairly good tasting cakes but my wife knew that it was out of character for me to buy packaged cakes. They were labeled “Spunch Cake” and were produced by a Heimishe bakery in Borough Park. Go into any bank in Borough Park and you will see a bizarre reality. Of all the branches of every bank in the community there is only one Hareidi bank manager. There are no Hareidi tellers. Why is that? The answer is quite simple and is also the never discussed elephant in the room. Chassidim cannot spell. As a general rule, Chareidi English skills are notoriously deficient at best, and completely non-existent at worst. Our secular education in Borough Park, Williamsburg, Monsey, Kiryas Joel. Lakewood and the many other Charedi communities ends at 6th or 8th grade. Sure, sure, the system allows you to study for ninth grade regents examinations, but it is always optional. Usually, study time is limited to about thirty minutes and to a time when the other boys have their supper break. What kid wants to study for regents when every single one of his friends are running around eating and generally enjoying themselves? Teachers are present to help, but no instruction is given. Some drop out immediately. Some drop out in tenth grade. And those are the better ones. There is a Gemorah in Kiddushin which lists the obligations a father has toward his children. There are five obligations and it is debatable whether swimming is a sixth. The list, however, should not be a list that remains stagnant. As society and technology has changed, the too have the obligations. We should be teaching our kids how to get along in life so that they will be able to earn a parnasa and serve Hashem properly. We need to get with the program and in this case it means making sure that we have decent communication and writing skills. 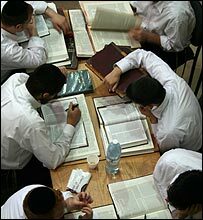 As the situation stands now, the socio-religious atmosphere in Chareidi circles actually discourages education. Kollel Yungeleit are discouraged from leaving Kollel and even preparing for a Parnasa until they have a family to support. At that point, who has the time or money available to get an education? Touro College has a program called the Parnasa Institute, and it is shameful that the people behind this initiative are not treated as heroes that are addressing a real social problem – indeed, a crisis. Even in the Litvish world, our Roshei Yeshiva are not encouraging the Kosher programs that are available to their students for those that will not be entering Klei Kodesh fields, or even to have it as a backup plan. Those in the Chareidi world who did enter the fields of medicine, accounting, or the job force in the general corporate world did so against all odds and despite our system of education – no because of it. Some former yungeleit are, in fact, successful. They enter businesses of their father or father-in-law. But most do not have these options. One writer wrote in and explained how right out of Kollel he obtained a job in a medium sized company where the principals were Chassidish. After a few years he was laid off due to the economic crisis. He needed another position. To his shock the only positions available due to his lack of English skills were entry-level positions. Shlomo HaMelech tells us “Soneh Matanos Yichyeh” – one who disdains gifts will live. Rav Dessler zatzal interprets this verse as a philosophical recommendation for life. Let us always be givers and never be takers. This is, of course, excellent advice but without an education we cannot step into the general workforce. Chareidim are forced to be takers – section eight housing, food stamps, wic, school vouchers and much more. And then come the challenges of maintaining our principles of honesty and integrity. The answer to this is that it is true. There are many millionaires that did not have an education. But it is also true that there are many, many, people that never brush their teeth and have no cavities. Dentists cannot and should not deny this. However, it is also true that overall it is a terrible mistake not to brush your teeth and it is a terrible mistake not to get an education. The stark conclusion is that we need to retool our entire education system and we need to retool it now. Our high schools have to teach English, writing and communication skills, and math skills. They have to do it and do it well. Our parent body has to demand it. They cannot be embarrassed about demanding excellence in education, either. Perhaps they should band together in groups and approach the principals of the schools with their desires. Our elementary schools have to destroy the atmosphere that is pervasive in many chareidi elementary schools that English classes should be derided and abused. They are the life line that will vouchsafe the future honesty and integrity of our children. This is the undiscussed “elephant in the room” that existed in the room last night. The problems addressed in the Agudah sponsored meeting will never be resolved until and unless the underlying causes are addressed. The dire and terrible incidents of the past week should be viewed as wake-up call. We must act and act now. Perhaps another Asifash should be called. These issues are as important as any and they are necessary to ensure that our children have the skills necessary not only to thrive but to survive. Just like in gardening one cannot resolve a weed problem by merely cutting the weeds in the middle. They must be pulled by the roots. So too must we resolve the underlying social problem in our system. We need to value the skills of communication, reading, and writing and to realize that education is the key to the future. The Poalei Agudas Yisrael movement was founded for the purpose of addressing the needs and concerns of the chareidi worker. Whilst still based in the diaspora it fought its first battles for the rights of chareidi workers, and transplanted later to Eretz Yisrael the movement founded numerous organisations and settlements all across the country, in every location where chareidim had settled. The ‘Poalei Agudas Yisrael’ movement (PAI) was originally founded as a branch of the Agudas Yisrael political party that was to cater specifically to the chareidi worker, but it later broke away from Agudas Yisrael and began to operate independently. Fourteen settlements in Eretz Yisrael were at one point associated with the movement. The movement was founded in the year 5693 in the city of Lodz, Poland, with the stated objectives of encouraging chareidi business and fighting against the phenomenon of chareidim establishing business partnerships with gentiles, so that they could operate their businesses as usual on Shabbos and Yomim Tovim. Many chareidi Jews in Lodz joined the new movement, and it quickly spread to additional cities. Although the Agudas Yisrael movement was very active in protecting Jews in Poland, in general it refrained from opposing Jews who had formed partnerships with gentiles – it was in fact this point that was the source of many of the disputes between the two movements that occurred throughout the years. In the Thirties, unemployment soared among the chareidi population, as it did also among the general population, and Poalei Agudas Yisrael intensified its battles, until at one point, the disputes entered the walls of the batei knesses, and prevented the tefillos from commencing, finally, the Jewish manufacturers agreed to employ chareidi Jews in their businesses in place of their former gentile workers. During this period, Rav Yehudah Leib Orlean hy’d, who was one of the founders of Poalei Agudas Yisrael, composed his essay ‘To the Satiated and to the Hungry’. In it, he wrote; “The phenomenon of lack of available employment and poverty is especially prevalent among chareidi workers, who are discriminated against simply due to their being chareidi. Not just non-Jewish employers, or even non-religious Jewish employers, but also even religious employers refuse to employ them in their businesses. These religious employers are simply driving away the religious workers, since they are unable to work on Shabbos, and in their place, they employ christian workers on the basis of a ‘document of sale’ [similar to the ‘Heter Mechirah’ used in Shemitta years, against which battles are still being fought today], and in this way they operate their businesses on Shabbos as during the week. Chareidi Jewry must now internalise that to conduct oneself in such a way, in which one makes a living at another’s expense, is a grave sin, and that mitzvos between one’s fellow man and oneself are beloved by the Creator no less than mitzvos between oneself and one’s Creator.” Later in his essay Rav Orlean attacked Agudas Yisrael for its lack of support of the struggle and its insufficient concern for the welfare of the workers. The initiator of the idea of establishing a movement was Rav Binyomin Mintz, who united the worldwide movement and was also a minister and a member of the Knesset as a representative of the party. Rav Mintz was born and grew up in Poland where he associated himself with the Gerrer chassidus. In the year 5693, after he immigrated to Eretz Yisrael, he established, together with other activists, the Poalei Agudas Yisrael movement. When the Second World War broke out, Rav Mintz was one of the first to sound the alarm at the danger hanging over the heads of the Jews of Europe, and when the Vaad Hatzolah was founded in Eretz Yisrael he was one of its main activists. On the twenty-fourth of Shvat 5709, following the establishment of the State of Israel, the first elections to the ‘Organised Gathering’, as it was then known, took place in the Holy Land. (Later it would be known as the Knesset haRishonah). In these elections all the religious parties competed under one banner, as the ‘United Religious’ list. The list was comprised of members of the parties of Agudas Yisrael, HaPoel HaMizrachi, Mizrachi, Poalei Agudas Yisrael and the Religious Union. This list gained sixteen seats in the Knesset, of which three were allotted to Poalei Agudas Yisrael. Their three Knesset members were Rav Avraham Yehudah Goldrot, Rav Kalman Kahane and Rav Binyomin Mintz. Rav Mintz was also appointed as chairman of the Knesset Committee of Internal Affairs. In the elections to the second Knesset, Poalei Agudas Yisrael stood independently for election and gained two seats. In the two ensuing election campaigns, Poalei Agudas Yisrael ran together with the Agudas Yisrael party under the title of ‘the Religious Front for Torah’. In both of these elections, the list gained six seats, but during the term of the fourth Knesset, the two parties split, and each faction subsequently acted independently in the Knesset. During the fourth Knesset, Poalei Agudas Yisrael alone of the two parties decided to join the Mapai government headed by David ben Gurion, and Rav Mintz was appointed Minister of Communications. It was during his stint in this position that, on the 15th of Sivan in the year 5721, Rav Mintz was niftar. The settlement of Yad Binyomin which was established by the Poalei Agudas Yisrael movement as a central settlement for all farmers of the area of Shurak was called by this name in memory of Rav Mintz. In the coming election campaigns, up until the eighth Knesset, Poalei Agudas Yisrael competed alone. In the elections to the eighth Knesset, another attempt was made at creating a combined Poalei Agudas Yisrael – Agudas Yisrael list, but again it ended in failure when, during the term of the eighth Knesset, the parties again split and Poalei Agudas Yisrael went its own way as an independent party. Therefore, Poalei Agudas Yisrael ran alone again in the elections to the ninth Knesset, but it only gained one seat – in the elections to the tenth Knesset, it failed to pass the threshold. In the elections to the 11th Knesset, Poalei Agudas Yisrael ran together with the Meitzad party which had been established by former members of the Mafdal, who had been disappointed with it – together they called themselves ‘Morashah’. This list gained two seats in the Knesset, but in the course of the Knesset’s term, the Meitzad representative Chaim Druckman returned to the Mafdal, and the remaining representative of Morashah, Rav Avraham Werdiger, renamed the party ‘Morashah – Poalei Agudas Yisrael’. Later still, he united his party with that of Agudas Yisrael. Over the years, Poalei Agudas Yisrael aroused the opposition of the Gedolei Yisrael, the leaders of chareidi Jewry, such as the Chazon Ish zt’l, Rav Yaakov Yisrael Kanievsky (the Steipler), Rav Eliezer Menachem Man Shach, and Rav Yosef Zev Soloveitchik zt’l, the Brisker Rav. The Brisker Rav dealt the organisation a crushing blow when he ruled that it was forbidden to vote for them. Yet despite this formidable opposition of the Gedolei hador, there continued to be those who did support Poalei Agudas Yisrael, largely those living in peripheral communities, chareidi farmers and other religious manual labourers who found the stance of Agudas Yisrael too extreme. For such people, Poalei Agudas Yisrael seemed to be a suitable alternative. The movement of Poalei Agudas Yisrael established many organisations in many towns all over the country. In areas such as Bnei Brak, Rechovot and Haifa, there are still synagogues standing that were set up by the movement. 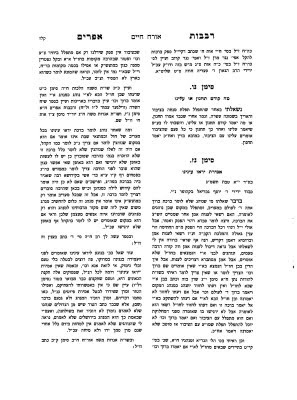 Poalei Agudas Yisrael even brought out its own journal, called ‘She’arim’ (Gates) which could be found in chareidi and other religious homes across the country. Over the years, the political wing of the Poalei Agudas Yisrael movement represented a sizeable section of the chareidi and religious populations in Eretz Yisrael, who saw reflected in the party their own ideals and views. Today, however, the party is no longer operational, the organisations it established have shut down, the journal is no longer in existence and even the many synagogues it established no longer identify themselves with the movement, but are instead affiliated with the various kehillos within the towns where they are located. Appearances to the contrary, the Haredim (ultra-Orthodox Jews) do not really have voting rights. No Haredi ever experienced the democratic thrill of "Who do I feel like voting for this time?" All the Haredim, with the exception of wayward sinners, have always voted, and will vote until the end of time, for the party their rabbi tells them to vote for. A few days later, closer to election day, our whole Haredi neighborhood was plastered with gimmel posters. There wasn't one balcony without a huge gimmel hanging from the laundry-laden clothesline. One Friday, shortly before the last Shabbat preceding the elections, my father tried to pull a fast one. On the balcony of our small home he hung no fewer than three letters: beit (National Religious Party), gimmel and dalet (Poalei Agudat Israel). Treason! The smiling message he wanted to get across by means of this small installation was: Let us unite, we are all Jews, forget Haredim, national-religious people and so forth - it's all the same thing, I am voting for all of them and have a good Shabbat. Nu, how did the "Haredi street" respond to this cordial initiative of unity? A few minutes later, while my father was in the synagogue, a few angry Hasidim knocked on our door and demanded that we remove the disgrace immediately. What, are you making fun of something sacred and important like the elections? One of them even ruled that now, on the holy Shabbat, we must rip down the posters. No less. The next thing was that right there, on the threshold of our house, a theological discussion began about desecration of God's name versus desecration of Shabbat, at the conclusion of which, and with the agreement of all the parties, it was decided that as soon as the third star came out the next evening, and even before performing the havdalah ceremony marking the end of Shabbat and the onset of the new week, my father would remove the disgrace. But the election campaign whose very mention generates the thrill of sacred action in everyone who is - or was - connected to the Haredi world is the campaign of 1988. I don't remember who was running for prime minister, or how many seats his party got, but I, along with my generation, will never forget the atmosphere of those historic days. Two-hundred years after the ferocious struggle that split the Orthodox world, between the Baal Shem Tov, the founder of Hasidism, and his great opponent (mitnaged), the Vilna Gaon, the war between Hadisim and Mitnagdim flared again, and with tremendous intensity. Who sparked it? It was Rabbi Schach, the leader of the Lithuanian faction of Agudat Israel, who was angry at the humiliating and contemptuous attitude shown the Torah institutions and the representatives of the Lithuanian yeshivas in the veteran party, and decided to "break the tablets." He established a competing party: Degel Hatorah. The atmosphere in the founding assembly of Degel Hatorah, which was held in Binyanei Hauma on the last day of the "between-the-times" break in yeshiva study of Sukkot 5748 (1987), was on the brink of ecstasy, as the moderator, Rabbi Yerachmiel Boyer, screamed into the microphone that Rabbi Schach - introduced with the prestigious appellation of maran rosh hayishiveh shalita - was entering the hall. The thousands of yeshiva students who packed the hall and the aisles, and the dozens of elderly yeshiva heads who had been sitting silently on the huge stage, rose to their feet and broke into rapturous song: "Add days to the days of the king, may his years extend through generations." I have to admit: I was not at that assembly. Everything I am describing is a living memory taken from a small audio cassette that was distributed in thousands of copies a few days after the event. There were no Haredi ratio stations back then, and those who wanted to get a taste of the event waited for the recording, and when it arrived I listened to it in a trance, over and over and over. I was only 12 at the time, but I can still repeat word for word large sections of Rabbi Schach's oration and from the debut sermon of a new and promising star who was discovered that evening: Rabbi Avraham Ravitz. It is important to understand that until that election campaign, Hasidim and Lithuanians coexisted in wonderful harmony. The historic battle from the time of the Baal Shem Tov was long since forgotten, and each side conducted its life according to its religious doctrine on the basis of mutual respect. And then along came Rabbi Schach and fomented a great rift, which transcended a political split. What aggravated the situation was the fight for every vote. The Lithuanians' terrible fear was that Degel Hatorah would not get enough votes to enter the Knesset and that they - and Rabbi Schach as their leader - would become a laughingstock. Worse, without Knesset representation, who would look after the interests of the thousands of yeshiva students? The MKs of Agudat Israel, against whom Rabbi Schach had declared war? God have mercy! Back, now, to my parents. In the meantime they had left the small Haredi neighborhood in favor of one of the villages established by Poalei Agudat Israel. And here is another brief lesson in Haredi history: The Poalei Agudat Israel (PAI) movement, which is a small Haredi-Zionist sub-party within the veteran Agudat Israel, established some 20 glorious farming communities (such as Kibbutz Hafetz Haim, Moshav Yesodot, Kibbutz Shaalvim and others) in which a distinctive Haredi species resided. Nice-guy, middle-of-the-way Haredim. On the one hand, not inclined to religious compromise, like the National Religious Party types, but on the other hand, not isolating themselves from Zionist- settlement activity, like the Haredim. In those fateful elections of 1988, PAI ran as part of the Agudat Israel list. And a furor erupted in our PAI village. It was only to be expected that PAI would find its place in Agudat Israel - after all, what connection did it have to the rabbis of Degel Hatorah? What connection did it have with the anti-Zionist world of Rabbi Schach? But still, who would people like my parents vote for, people who lived in a PAI village, but who ideologically and even genetically belonged to the Lithuanian camp? What would they do on judgment day? Would they obey their ideological commitment (Degel Hatorah) or their municipal commitment (Agudat Israel)? It is hardly necessary to imagine what the patrons of the village in the PAI land-settlement movement would have thought had they opened the small ballot box and discovered that the majority of the residents had voted for the enemy party, Degel Hatorah. After wrestling with the issue at length, my parents decided on a compromise: They would vote for both parties. How? Simple - Dad for Degel, Mom for Aguda (or vice versa). But in our village there was also a certain Reb Shmuel. He was an old-timer there, one of the founders, and he cared about the place, about its development and about its status - all of which heightened his need to vote for Agudat Israel. On the other hand, though, he was a true admirer of Rabbi Schach and he simply wasn't capable of standing aside in such a critical vote of confidence. So what's the problem, you will ask. Didn't he have a wife? Let them vote for both parties! Well, yes, there was a fine wife, but she couldn't vote. She was born and raised in America, and even after her marriage to Reb Shmuel, she did not bother to take Israeli citizenship. So there was one vote and one election and Reb Shmuel was torn: to whom is my commitment greater - to the builders of the village or to the revered rabbi? Election day arrived, the hours flew past, the news on the radio reported incidents around the polling stations in Bnei Brak, Hasidim and Lithuanians were jostling for every vote, and Reb Shmuel had still not decided what to do. Six o'clock in the evening and soon the polling station would close, but the evening prayers did not produce the miracle: Heaven did not reveal whom the rabbi should vote for. And then, in a flash of brilliance, Reb Shmuel understood that only one person in the world could decide the vexing question. He got into his old pickup and sped to Bnei Brak, to Ponevezh Yeshiva, the ascetic home of Rabbi Schach, the rosh yeshiveh (head of the yeshiva). Time was running out fast. The polls would close at 10 and he had to vote the right way. Rabbi Schach, on one of the most critical days of his life, was doing what he did every day: sitting in his small room in front of the bookstand, a large Gemara before him and a white fluorescent light above him, and studying. One of his grandsons led Reb Shmuel into the room and asked the question for him in Yiddish. The rabbi thought for a moment and immediately replied. When Reb Shmuel heard the answer, he didn't believe it. "The rosh yeshiveh says," the grandson translated, "that it is clear that a commitment of gratitude to the PAI movement must override every other consideration. Go and vote Agudat Israel." Rabbi Schach died four and a half years ago. But long before that, the dispute had long since disappeared. For the campaigns since then, arrangement committees have been at work: There is a Hasidic candidate, a Lithuanian candidate, a Hasidic candidate, a Lithuanian candidate - and so forth until the 120th slot. Next Tuesday Degel Hatorah and Agudat Israel will again run together as United Torah Judaism. And I no longer know what type of sacred action stirs the world of today's 12-year-old Haredim. Life in Israel: I did not donate, and found salvation! 1:37 AM me: yes, although it's not pashut pshat! לפי"ז כשאמרו מאי מזה נושא ר"ל מסיט, שמטלטל ומניע את מי חטאת, ולשון מזה דקרא הוא משרש זז, כלשון אינו זז משם, שמא יזוז עפר, אין מזיזין אותו ממקומו, והוא מלשון וזיז שדי ירענה, שהוא תאר לחיות השדה שהם מתנועעים הנה והנה, כמו שנקרא רמשים ע"ש רמיסתם. ומזה שם מזוזת הפתח דכמו שנקרא משקוף ע"ש שהדלת שוקפת עליו, ככה נקרא מזוזה ע"ש שהדלת מתנועעת ותסוב על ציר מזוזת הבית. ומענין זה אפרש גם מאמר (ישעי' נ"ב) כן יזה גוים רבים, יזה ענין תנועת ההשתוממות וטלטול הפנימי שבנפש מרוב הפלא והתמהון (ערשיטטערט, אויפגערעגט), כלומר בראותם ההשתנות הגדולה שבאומה ממדרגתה השפלה לרום ההצלחה, יתנודדו ויתנועעו בפנימית נפשותיהם מרוב הפלא והתמהון. לכן אמר אחריו עליו יקפצו מלכים פיהם, שמגודל התמהון פיהם יסתם ויסגר ויהיו כאלמים בל יוכלו דבר מאומה. וזה הפך ממה שקדם להם, כאמור שם כאשר שממו עליך רבים וגו' כלומר כערך התמהון שהיה להם מקודם על רוב שפלותך כערך זה יתמהו על גודל הצלחתך (ואם נפרש יזה בדרך אחר אין למאמר שייכות עם הקודם והמתאחר. וכבר ישמשו הכתובים ענין התנועה על ההשתוממות, יתנודדו כל ראה בה). ובלשון ערבי ישמש שרש כזה על טלטול ותנועה. וככה המטלטל ומנענע את מי חטאת יקרא מזה, כלומר שמזיזו ומנענעו (ובא ע"ד משגה עור בדרך שמשרש שגג עיי' בפי' רנ"ו ויקרא י"א כ"ח), ובאמת הי' ראוי מזיז מי הנדה, לכן אמרו רבותינו שנשתנה משקל הפעל בזה לכתוב מזה במקום מזיז, להורות גם על ענין הזאה, שהמזיז והמניע את מי חטאת אינו טמא רק כשיש בהם שיעור הזאה. me: Well, Rashi seems to be on your side. 1:55 AM me: Right, but not as a pashut pshat. yoel: How can one tell that? 1:58 AM me: Rashi's language "Rabboseinu Amru," is the hint. 2:02 AM yoel: like one who need he'erev shemesh? idf so - then the normative case would have been that the mazeh does become tamei because the chachamim were metamei the mazeh and then metaher him to go against the tzedukim, no? 2:05 AM yoel: so at the end of the day - if you hold like the gra and combine that with the metzius - I can justify my am haratzus of the Rashi on the pasuk and the gemara in Yuma! ...what is the Rambam's shita on guf that one might construe as at odds with tzimtzum? 1:16 AM me: That Hashem is not subject to any dimensionality, and tzimtzum implies dimensionality. 1:20 AMyoel: so the answer is that atzmus Hashem ain hachi nami has no dimensionality? how does the Rambam explain the existence of the world? does Hashem exist everywhere? 1:22 AM me: The Rambam never makes the distinction between atzmus and relationship. He states that Hashem is so beyond human conceptions that it is absurd to try and reconcile His (the only true) existence with our (contingent) existence. 1:23 AM yoel: so the Rambam avoids the question and chassidus/kabbalah attempt to provide a framework through which to try and comprehend the mechanism which all agree must exist. yes? 1:25 AM me: Yes. Because of the importance in Chassidus/Kabbalah of understanding the relationship. A Very Difficult IDL Psak: Feedback Welcome! I hope you are enjoying the summer. I am going to New Zealand soon, and I remember that you said on one of our class Shabbatons that New Zealand might be a problem because of the halachic "international dateline." Can you please refresh my memory and tell me what I should for Shabbos and Tisha Bav? This is a weighty question, and I certainly do not want you to feel bound by my psak - feel free to consult another Rav and follow their psak. My starting point is the psak of the Chazon Ish on the halachic International Dateline. Accordingly, the day of the week known in NZ as Sunday is actually Saturday. The day they call Saturday is actually Friday. The day they will keep as Tisha b'Av is actually the 8th day of Av, and the actual 9th is their tenth. This is a particular problem this year, since 9 Av is on a Thursday - but if you follow the CI, it's on the NZ Friday. So, what I would pasken is that you keep two days Shabbos every week, on their Shabbos keep Shabbos d'orysa and d'rabbanan and daven tefillos Shabbos (because of Minhag HaMakom). On Sunday refrain from all d'orysa's. You may ask anyone to do melachah for you on their Sunday, since they have al me lismoch for their manner of observance. On Sundays you should also refrain from d'Rabbanans as much as possible. If you must do one, try to do it with a shinui. On their 9 Av, keep the day as normal. On their 10 Av, if you can, eat pachos pachos me'k'shiur (we can get into details if you decide to go this route) and all the halachos of the nine days until Chatzos. After Chatzos, you can shower and shave l'kovod Shabbos. Again, feel free to contact anyone else you want. I will also see if I can come up with more guidelines. כמה מעלות טובות לקפה עלינו! SUNDAY, July 5 (HealthDay News) -- The growing evidence that caffeine consumption may help treat or prevent Alzheimer's disease has received an extra boost from two new studies. Florida researchers report that a daily dose of 500 milligrams of caffeine -- the equivalent found in five 8-ounce cups of coffee -- reversed memory issues in mice bred to develop Alzheimer-like symptoms. After two months on the stimulant, the mice rebounded to score just as well on memory tests as normal mice of the same age that had never exhibited signs of dementia. The studies, published in the July 5 online edition of the Journal of Alzheimer's Disease, also found that caffeine cut by half the mice's excessive blood and brain levels of beta amyloid, the protein linked to characteristic plaque found in human Alzheimer's disease. "The new findings provide evidence that caffeine could be a viable 'treatment' for established Alzheimer's disease, and not simply a protective strategy," lead author Gary Arendash, a University of South Florida neuroscientist, said in a news release. "That's important because caffeine is a safe drug for most people, it easily enters the brain, and it appears to directly affect the disease process." Past work at the Florida Alzheimer's Disease Research Center in Tampa, where these studies were done, found that caffeine in early adulthood appeared to prevent memory problems from occurring in these specially bred mice, possibly because of the stimulant's ability to calm the brain inflammation that causes beta amyloid levels to rise. The research center also previously found that caffeine reduces beta amyloid levels in elderly people without dementia just as quickly as it does in the mice bred to have Alzheimer's symptoms. Studies to test whether caffeine can help people with mild cognitive impairment or early Alzheimer's disease are likely to follow, investigator Huntington Potter, director of the Florida Alzheimer's Disease Research Center, said in the news release. While consuming 500 milligrams of caffeine a day would not cause ill effects for most people, Arendash noted that people with high blood pressure or who are pregnant need to limit their caffeine intake. It is not known whether a smaller daily dose of caffeine would produce the same beneficial effects on the Alzheimer's mice. In the most recent experiments, the researchers also found that caffeine did not improve the memory of normal mice as it did for the Alzheimer's mice. "This suggests that caffeine will not increase memory performance above normal levels. Rather, it appears to benefit those destined to develop Alzheimer's disease," Arendash said. Velikovsky Online - In Hebrew! A family friend whose husband recently left her after 30 years of marriage for another woman has moved from California to the east coast. She has several health problems and is on a number of medications. She is also struggling for money. She had [Big Insurance Company] medical insurance here in CA for many years, and after moving had to reapply for the east coast [Big Insurance Company] . They turned her down because of her many pre-existing conditions. If she says she lives here in CA, she can keep her old [Big Insurance Company] until she finds another solution, but she has asked if she can use our address in [city in CA] to prove she lives here. Is that okay? A tough question! What she should do, I'm not going to address. You can allow her to use your house as a mail drop, stipulating that you would rather not know the contents of the correspondence. Does that help?